An Act to consolidate certain enactments relating to industrial and provident societies, being those enactments as they apply in Great Britain and the Channel Islands with corrections and improvements made under the Consolidation of Enactments (Procedure) Act 1949.. 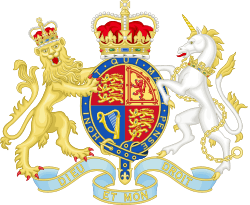 The Industrial and Provident Societies Act 1965 (c. 12) is an Act of the Parliament of the United Kingdom that received Royal Assent. From 1 August 2014 it was repealed and replaced by the consolidating Co-operative and Community Benefit Societies Act 2014. In the UK, and some Commonwealth countries, many co-operatives are registered as industrial and provident societies. Since 2014 the applicable laws now explicitly name co-operatives and community benefit societies in their titles. In January 2012 the UK Prime Minister, David Cameron announced a project to consolidate all the legislation applicable to industrial and provident societies. There was some uncertainty as to how far new developments would address the problems with the legislation. In mid-2012, revision of laws for co-operative was in its early stages. The enactment of the Co-operative and Community Benefit Societies Act 2014 completed the reform process. This legislation applies in Great Britain (England, Wales, and Scotland). Northern Ireland has its own very similar legislation. The 1965 and 1968 Acts also apply to Jersey and Guernsey. ↑ "2 Re-naming of Industrial and Provident Societies Acts". legislation.gov.uk. Retrieved 26 April 2015. ↑ "Co-operatives Bill will 'build a fairer economy'". gov.uk. Retrieved 26 April 2015.